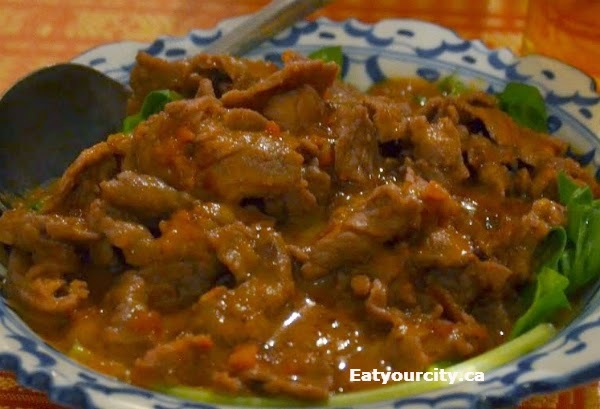 Eat Your City: Thai Nongkhai Calgary, AB - Tasty family style Thai food! 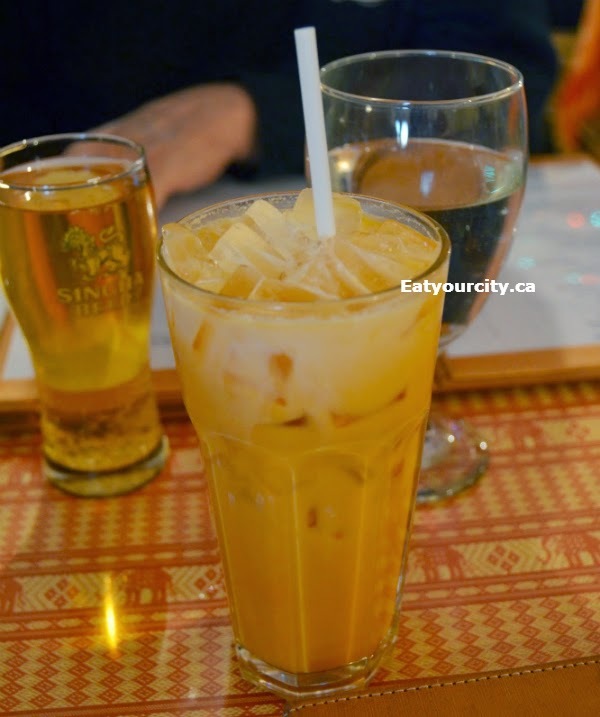 Thai Nongkhai Calgary, AB - Tasty family style Thai food! Posted by A little while back, we met up with my boyfriend's professor, his family and enjoyed a dinner out at Thai Nong Khai. 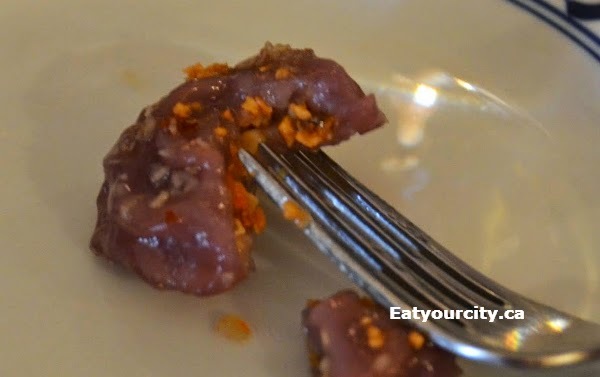 The restaurant is named after a city in NE Thailand, home to the Thai-Lao Friendship Bridge and connects travellers and tourists between the two countries. 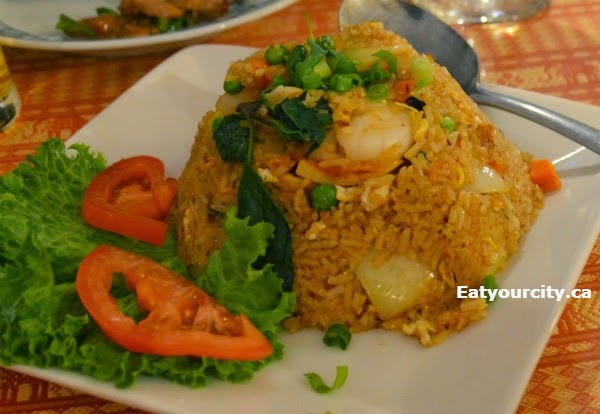 The scent of basil, curries and lemongrass hits your nose as soon as you enter the dimly lit restaurant, and decor is what you'd normally expect at most Thai restaurants in town. Service is friendly, prompt and wait staff were willing to explain what went into each dish when we asked. On to the food! We had some wine and beers around the table, but I went straight for the Thai Tea. Its traditionally made with a multitude of toasted aromatic spices which include cinnamon, star anise, ginger (amongst others) in a base of strongly brewed Ceylon tea, sweetened with condensed milk and served over ice. 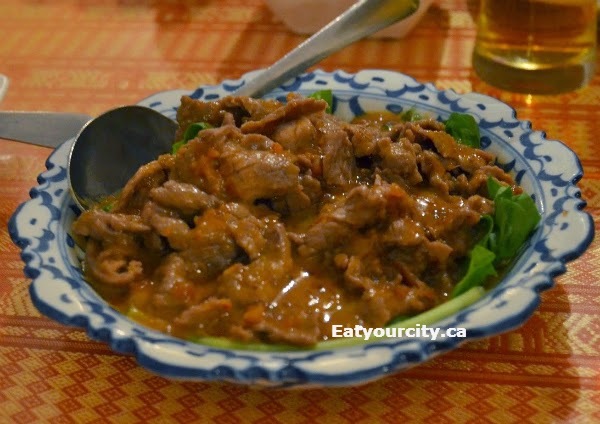 Its not as flavorful as the one we love from Viphalay in Edmonton (they hand roast and blend their own Thai tea spice mixture), but its delicious none the less - and came in handy to cool burning tongue from spicy dishes later! 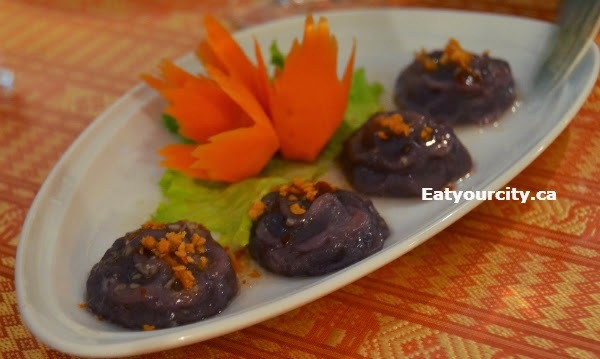 We started off with a dish that intrigued us - we initially thought it was going to be composed of edible flowers... the Thai Dumplings - purple flowers stuffed with chicken turned out to be a deep purple colored glutinous rice dumpling, with finely minced chicken inside, sitting in a pool of aromatic fish sauce. Everything is served family style, so we were glad there was 6 of us share and nosh on multiple dishes of food! Most dishes have a choice of protein - beef, chicken, shrimp, pork and seafood. First out was a delicious mild beef curry on a bed of Shanghai Bok Choy which we ate with scoops of fragrant coconut rice- you can request any level of heat you like from non-existent to inferno lol. 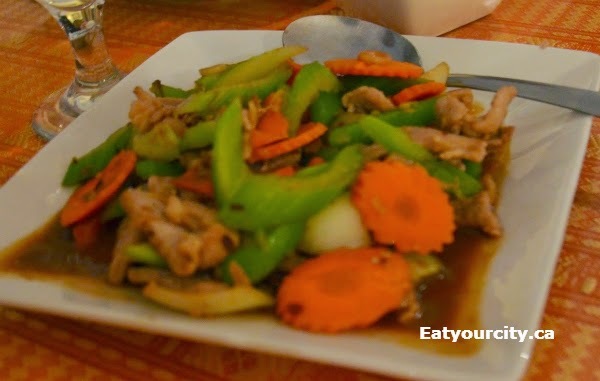 The Lemongrass Chicken with carrots, celery, onions and bell pepper was a simple and tasty dish redolent with lemongrass notes. 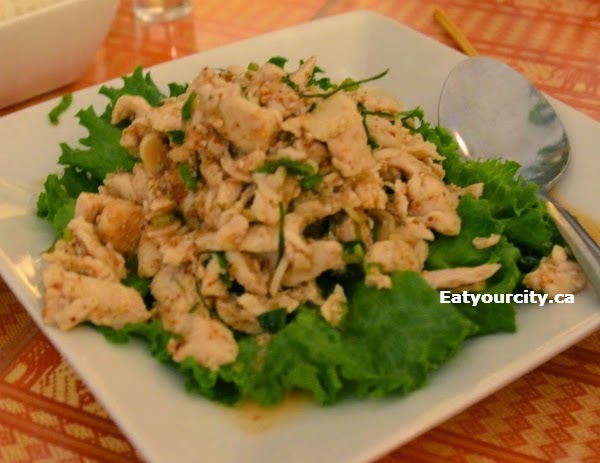 We tried the Chicken Larb - a traditional spicy Northeastern dish with fresh herbs and a lime dressing that plays on the spicy tangy notes in this dish. The chicken was a bit overcooked, but it was an interesting dish to try. 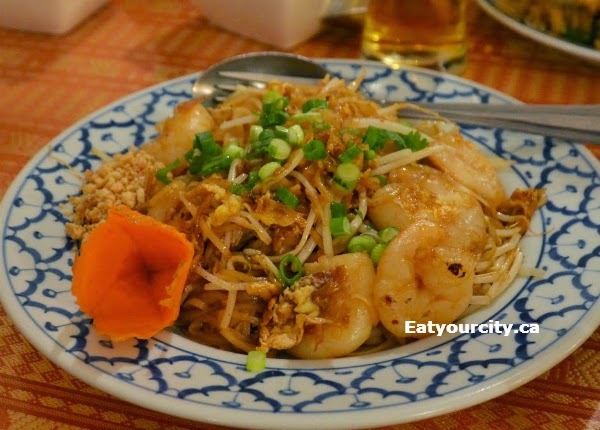 The Pad Thai - rice noodles, bean sprouts, egg, peanuts, cilantro is not to be missed. Citrusy notes of tamarind and tomato are prominent in this tasty comforting noodle dish. 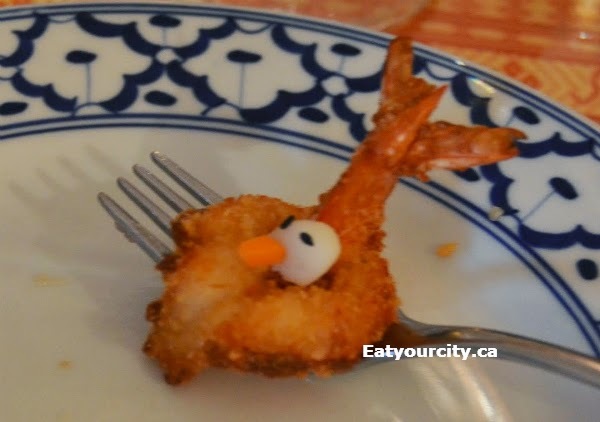 We added shrimp to this dish, just because :P Nomnomnom! 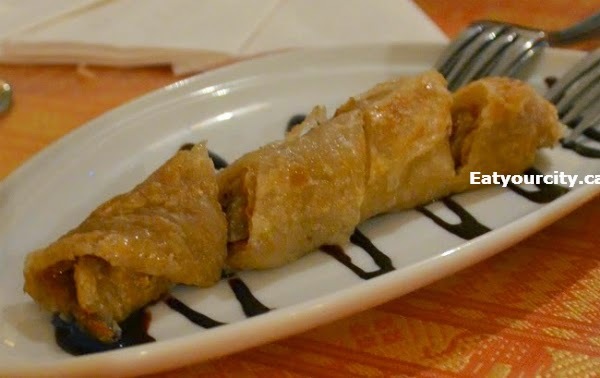 We were pretty stuffed, so we shared a Thai Crepe Dessert. 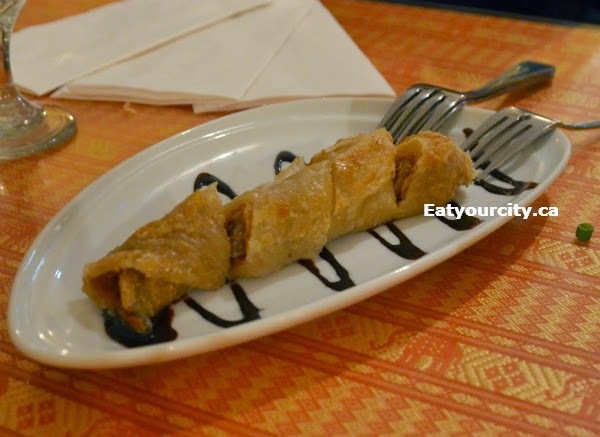 Essentially a warm semi-crisp roti topped with caramelized condensed milk (dulce de leche) and served with a drizzle of chocolate sauce on the plate. 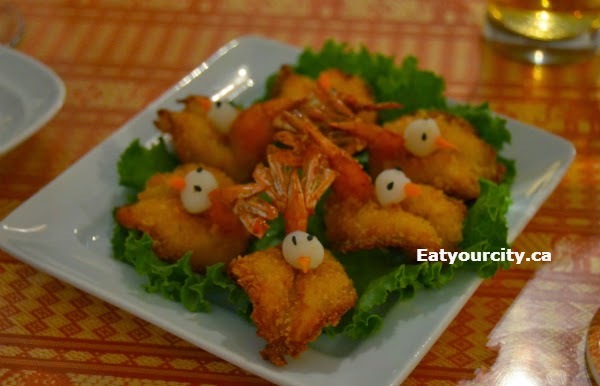 Overall, a great little place to gather with friends or a bigger group for family style Thai dishes.